Accounting is a major part of business operations, but many companies must decide if they will go with in-house accounting or with outsourced accounting services. If you own a business or you are interested in pursuing a position within the field of accounting, learning the difference between in-house and outsourced functions is important. With this knowledge, you can decide which type of operation is most cost effective or if you would like to pursue internal or external accounting roles. Read on, and find out more about the role of the in-house accountant and the pros and cons of employing accountants internally. According to Investopedia, when you hire an in-house accountant, the accountant or accountants in the department work for the organization where they perform activities and functions that pertain to financial reports and tax filings. The functions that are performed by outsourcing firms are similar but the professionals who are responsible for the duties work for a third-party firm and not for the organization it performs daily accounting work for. 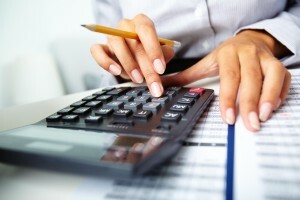 What Are the Advantages of Hiring Internal Accountants? If you own a business, one of the advantages of having an internal accountant is that they will have a professional to turn to when there are questions about statements or reports. While many accounting firms that work externally are trustworthy, when you have an internal employee you can keep a better eye on activities and keep the files organized. If you want your employees to learn how to create more effective invoices or how to report an expense in the most effective manner, you can consult the accounting department and the organization can come up with solutions. What Are the Advantages of Outsourcing Accounting Functions? While you can build a structured organization with a great culture when you in-house functions like accounting, you have to consider how outsourcing can benefit you when you are trying to build your company or keep your operational costs low, according to Forbes. One of the biggest advantages of outsourcing for small business owners is that there is no need for a physical space for the accountant. If you have a small office, having desk space and additional offices for bookkeepers and CPA’s is not practical. By choosing a firm, you will have peace of mind in knowing you can choose a service package that suits your needs without having to worry about setting salaries, monitoring the staff, or paying payroll taxes. Since the firm wants to keep a good reputation, you know that the accountants will be highly educated and experienced without having to recruit or offer good employee benefits. Simply pay a fee for the service and you can put your focus on other operations that contribute to organizational growth. In the past, the only option for organizations was to hire an internal accountant. Today, with advances in technology, it is possible to run certain aspects of your business outside of the organization. As a business owner, you should know about the basics in accounting principles and also about the smartest business moves. Take time to learn about business functions and then compare the cost of internal and external activities. Once you have done the comparison, consider your company’s best interest to decide if in-house accounting or outsourced functions are better.